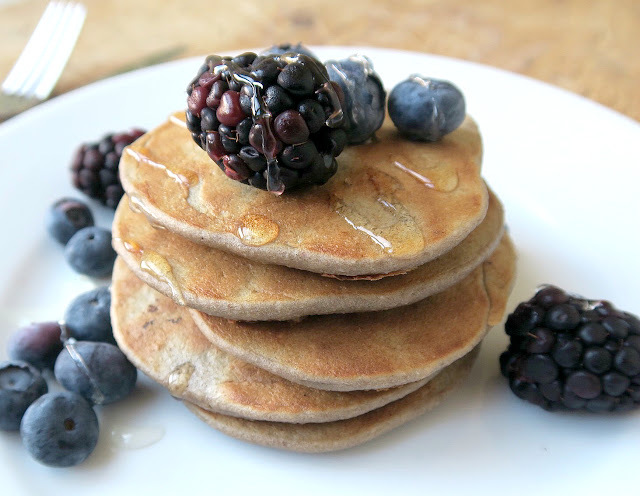 One of my favourite ways to start the day is with a stack of yummy pancakes. 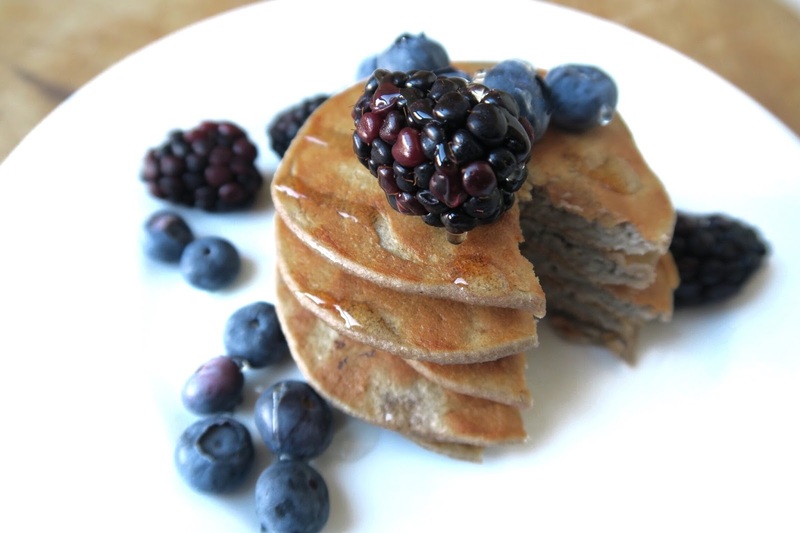 Traditional pancakes are not one of the healthiest of breakfasts, but these deliciously healthy protein-packed ones are the bomb dot com! They only take about five minutes to make and are packed with enough fibre to keep you full and fuelled for hours. What more could you ask for in a breakfast?! Heat a non-stick pan over a medium heat or use the simmering plate of your Aga. Next grab your NutriBullet or blender and blitz together the oatmeal, egg, puree and cinnamon. Then spoon the batter into the heated pan as you would normal pancakes. Once cooked it's time to stack your pancakes high and cover in your favourite toppings. I'm pretty conservative and like to serve my pancakes with fresh fruit, and a drizzle of honey, but feel free to go wild! What is your go to healthy breakfast?